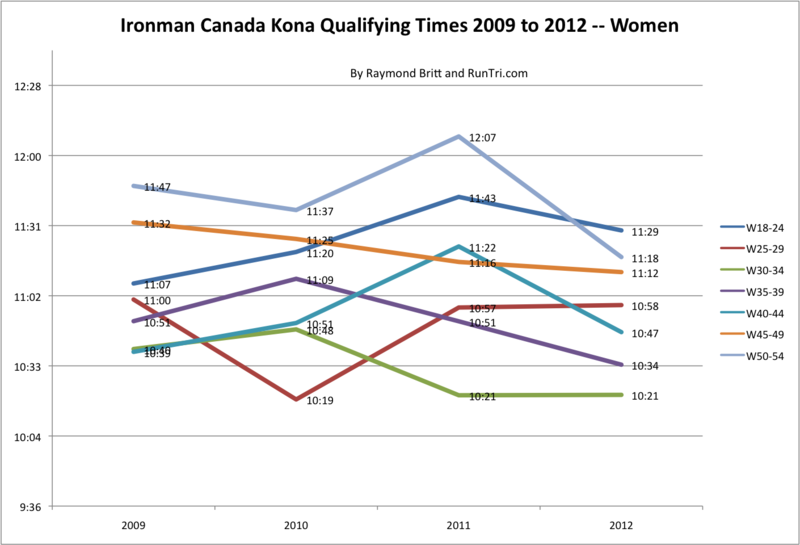 Ironman Canada 2012 marked the first year that only 50 Kona Qualifying slots were offered. 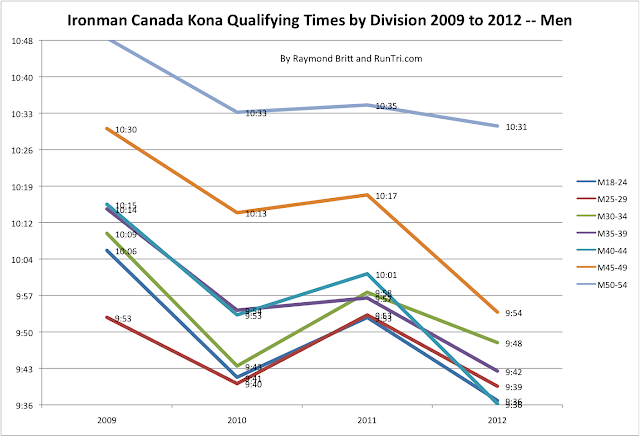 The number dopped from 70+ in 2009 to 65 in 2011 to 50 in 2012. Fewer qualifying slots meant faster qualifying times in most age groups, especially among the men. For more, also see our analysis of Ironman Canada Kona Slot Roll-Downs and Ironman Canada Kona Qualifying Times Analysis 2009 to 2011. 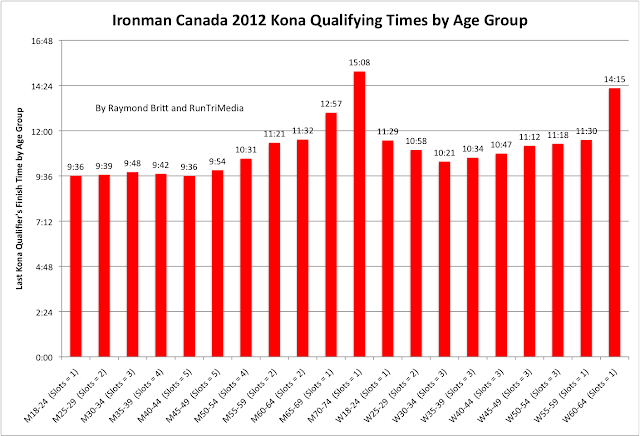 Also see our Complete Kona Qualifying Times analysis to see how Canada's qualifying times compare with those at other races.